There were a pair of similar pending delete auctions on NameJet and DropCatch.com that I thought would be interesting to highlight because of the auction results. I was tracking these auctions (and won one of them), and you can see the results on NameBio. At the end of December, WorkInjuryLawyer.com and WorkInjuryLawyers.com went into pending delete status and were auctioned. At the end of September, TrafficAccident.com and TrafficAccidents.com went into pending delete status and were auctioned. I believe each pair of domain names deleted on the same day and the auctions took place over the same days. When I was looking through my Dropping.com email yesterday, I saw that ShellOil.com was coming up for expiry auction at NameJet. I did a historical Whois search at DomainTools, and I saw the domain name had been owned by Shell International Petroleum Company before it expired. The domain name was created back in 1997, and it looks like the company has owned it for many years. Why on Earth would @Shell / @Shell_US allow the https://t.co/aaPcNrXlOp domain name to expire? Domain name was created back in 1997. 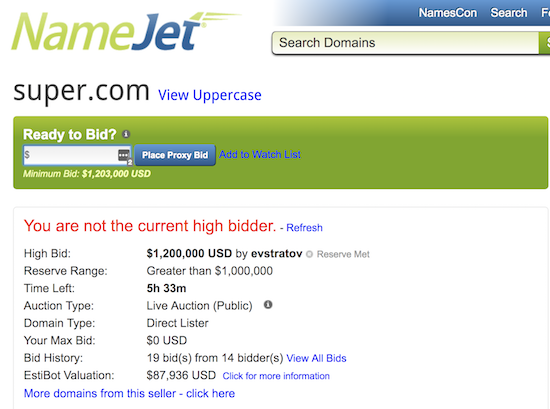 When I was taking care of my backorders on NameJet last night, I noticed a banner for an Emoji domain name auction. It looks like there are somewhere around 150+/- Emoji .WS domain names coming up for auction between 5 days and three weeks from now. So far, it looks like there are quite a few bids for the upcoming auctions. 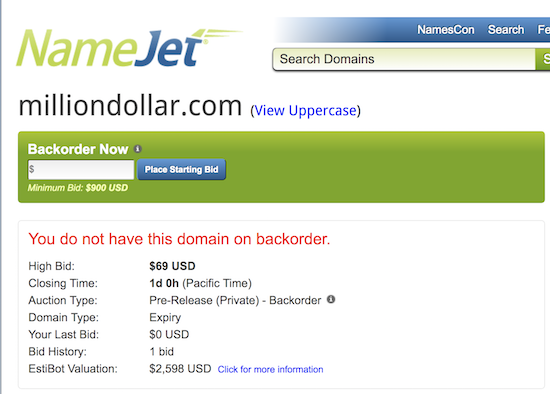 Many of the domain names with bids also have reserve prices that have not yet been met. It looks like 13 of the auctions with bids do not have a reserve price and will sell (assuming the high bidder continues through to the auction).